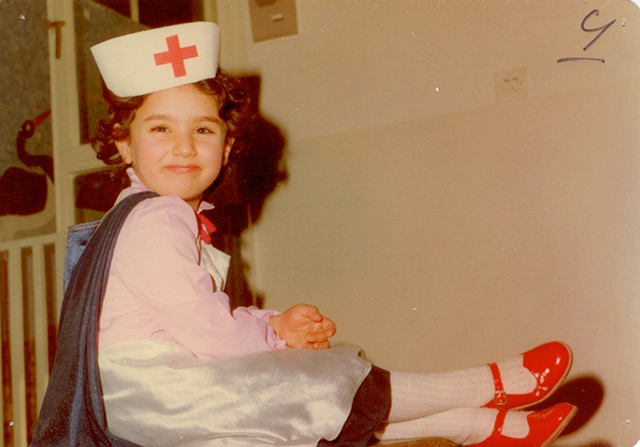 As an 8-year-old, Maryam Mirzakhani used to tell herself stories about the exploits of a remarkable girl. Every night at bedtime, her heroine would become mayor, travel the world or fulfill some other grand destiny. The Iranian mathematician follows her characters wherever they take her, along story lines that often take years to unfold. Petite but indomitable, Mirzakhani has a reputation among mathematicians for tackling the most difficult questions in her field with dogged persistence. “She has a fearless ambition when it comes to mathematics,” said Curtis McMullen of Harvard University, who was Mirzakhani’s doctoral adviser. With her low voice and steady, gray-blue eyes, Mirzakhani projects an unwavering self-confidence. She has an equal tendency, however, toward humility. Asked to describe her contribution to a particular research problem, she laughed, hesitated and finally said: “To be honest, I don’t think I’ve had a very huge contribution.” And when an email arrived in February saying that she would receive what is widely regarded as the highest honor in mathematics — the Fields Medal, which will be awarded today at the International Congress of Mathematicians in Seoul, South Korea — she assumed that the account from which the email was sent had been hacked. And one of Mirzakhani’s more recent contributions — a monumental collaboration with Eskin about the dynamics of abstract surfaces connected to billiard tables — is “probably the theorem of the decade” in Mirzakhani’s highly competitive field, said Benson Farb, also a University of Chicago mathematician. As a child growing up in Tehran, Mirzakhani had no intention of becoming a mathematician. Her chief goal was simply to read every book she could find. She also watched television biographies of famous women such as Marie Curie and Helen Keller, and later read “Lust for Life,” a novel about Vincent van Gogh. These stories instilled in her an undefined ambition to do something great with her life — become a writer, perhaps. The following year, Mirzakhani had a more encouraging teacher, however, and her performance improved enormously. “Starting from the second year, she was a star,” Beheshti said. Mirzakhani went on to the Farzanegan high school for girls. There, she and Beheshti got hold of the questions from that year’s national competition to determine which high school students would go to the International Olympiad in Informatics, an annual programming competition for high school students. Mirzakhani and Beheshti worked on the problems for several days and managed to solve three out of six. Even though students at the competition must complete the exam in three hours, Mirzakhani was excited to be able to do any problems at all. In 1994, when Mirzakhani was 17, she and Beheshti made the Iranian math Olympiad team. Mirzakhani’s score on the Olympiad test earned her a gold medal. The following year, she returned and achieved a perfect score. Having entered the competitions to discover what she could do, Mirzakhani emerged with a deep love of mathematics. “You have to spend some energy and effort to see the beauty of math,” she said. 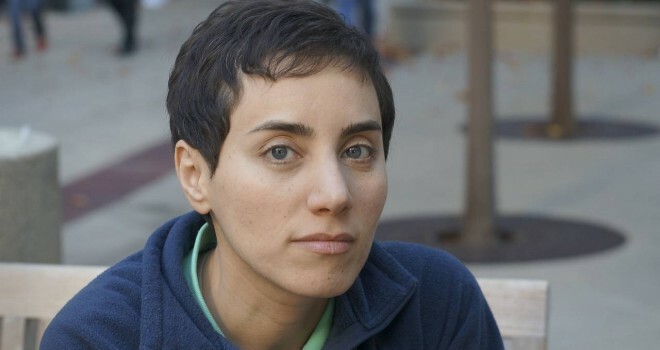 After completing an undergraduate degree in mathematics at Sharif University in Tehran in 1999, Mirzakhani went to graduate school at Harvard University, where she started attending McMullen’s seminar. At first, she didn’t understand much of what he was talking about but was captivated by the beauty of the subject, hyperbolic geometry. 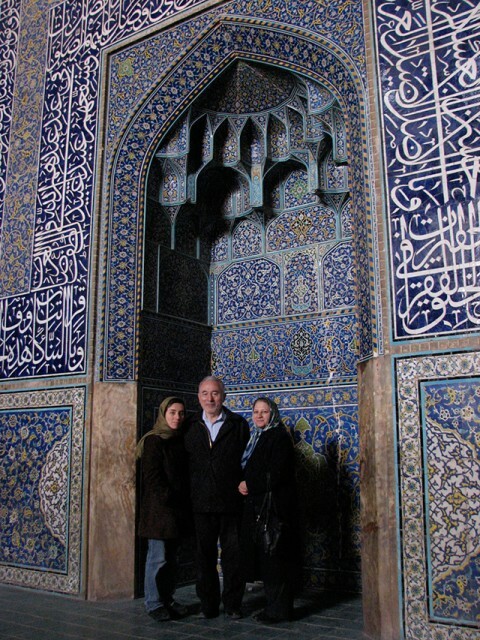 She started going to McMullen’s office and peppering him with questions, scribbling down notes in Farsi. Mirzakhani became fascinated with hyperbolic surfaces — doughnut-shaped surfaces with two or more holes that have a non-standard geometry which, roughly speaking, gives each point on the surface a saddle shape. Hyperbolic doughnuts can’t be constructed in ordinary space; they exist in an abstract sense, in which distances and angles are measured according to a particular set of equations. An imaginary creature living on a surface governed by such equations would experience each point as a saddle point. It turns out that each many-holed doughnut can be given a hyperbolic structure in infinitely many ways — with fat doughnut rings, narrow ones, or any combination of the two. In the century and a half since such hyperbolic surfaces were discovered, they have become some of the central objects in geometry, with connections to many branches of mathematics and even physics. But when Mirzakhani started graduate school, some of the simplest questions about such surfaces were unanswered. One concerned straight lines, or “geodesics,” on a hyperbolic surface. Even a curved surface can have a notion of a “straight” line segment: it’s simply the shortest path between two points. On a hyperbolic surface, some geodesics are infinitely long, like straight lines in the plane, but others close up into a loop, like the great circles on a sphere. The number of closed geodesics of a given length on a hyperbolic surface grows exponentially as the length of the geodesics grows. Most of these geodesics cut across themselves many times before closing up smoothly, but a tiny proportion of them, called “simple” geodesics, never intersect themselves. Simple geodesics are “the key object to unlocking the structure and geometry of the whole surface,” Farb said. Yet mathematicians couldn’t pin down just how many simple closed geodesics of a given length a hyperbolic surface can have. 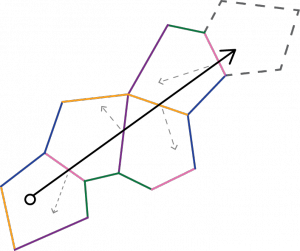 Among closed geodesic loops, the simple ones are “miracles that [effectively] happen zero percent of the time,” Farb said. For that reason, counting them accurately is incredibly difficult: “If you have a little bit of an error, you’ve missed it,” he said. In her doctoral thesis, completed in 2004, Mirzakhani answered this question, developing a formula for how the number of simple geodesics of length L grows as L gets larger. Along the way, she built connections to two other major research questions, solving both. One concerned a formula for the volume of the so-called “moduli” space — the set of all possible hyperbolic structures on a given surface. The other was a surprising new proof of an old conjecture proposed by the physicist Edward Witten of the Institute for Advanced Study in Princeton, N.J., about certain topological measurements of moduli spaces related to string theory. Witten’s conjecture is so difficult that the first mathematician to prove it — Maxim Kontsevich of the Institut des Hautes Études Scientifiques, near Paris — was awarded a Fields Medal in 1998 in part for that work. Farb said that solving each of these problems “would have been an event, and connecting them would have been an event.” Mirzakhani did both. Mirzakhani likes to describe herself as slow. Unlike some mathematicians who solve problems with quicksilver brilliance, she gravitates toward deep problems that she can chew on for years. “Months or years later, you see very different aspects” of a problem, she said. There are problems she has been thinking about for more than a decade. “And still there’s not much I can do about them,” she said. 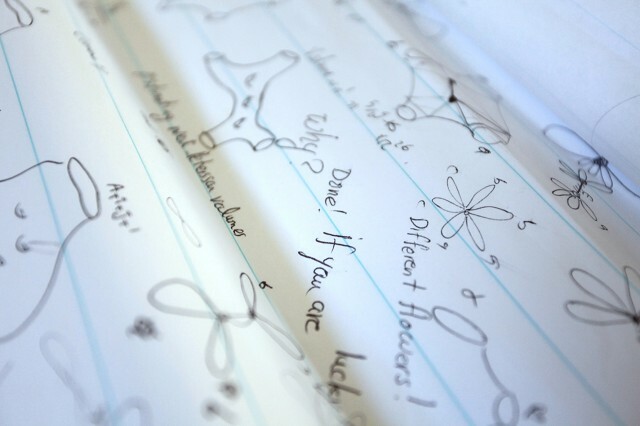 Doodling helps her focus, Mirzakhani said. When thinking about a difficult math problem, “you don’t want to write down all the details,” she said. “But the process of drawing something helps you somehow to stay connected.” Mirzakhani said that her 3-year-old daughter, Anahita, often exclaims, “Oh, Mommy is painting again!” when she sees the mathematician drawing. “Maybe she thinks I’m a painter,” Mirzakhani said. After several projects together, Mirzakhani and Eskin decided to tackle one of the largest open problems in their field. It concerned the range of behaviors of a ball that is bouncing around a billiard table shaped like any polygon, provided the angles are a rational number of degrees. Billiards provides some of the simplest examples of dynamical systems — systems that evolve over time according to a given set of rules — but the behavior of the ball has proven unexpectedly hard to pin down. To study a long billiard ball trajectory, a useful approach is to imagine gradually deforming the billiard table by squishing it along the direction of the trajectory so that more of the ball’s path can be seen in a given amount of time. This transforms the original billiard table into a succession of new ones, moving the table around in what mathematicians call the “moduli” space consisting of all possible billiard tables with a given number of sides. By transforming each billiard table into an abstract surface called a “translation surface,” mathematicians can analyze billiard dynamics by understanding the larger moduli space consisting of all translation surfaces. Researchers have shown that understanding the “orbit” of a particular translation surface as the squishing action moves it around in the moduli space helps in answering a host of questions about the original billiard table. Billiard Ball Trajectories. If you place mirrors on the walls of a billiard table, a ball bouncing off a wall looks as if it is continuing to roll in a straight line in the looking-glass world. Follow this straight path through one looking glass after another as the ball hits more walls, and after a finite number of reflections, you’ll be back in a billiard table world that has the exact same orientation as the original table. If you glue together the sides of this finite succession of billiard table worlds, you end up with a surface — a doughnut with two or more holes — that inherits a flat geometry from the billiard table (except at the handful of points that correspond to the corners of the table). Paths on the original billiard table correspond to straight lines on this surface, called a “translation” surface. Mathematicians have shown that understanding the “moduli space” of all translation surfaces is the key to understanding billiards. On the face of it, this orbit might be an extremely complicated object — a fractal, for instance. In 2003, however, McMullen showed that this isn’t the case when the translation surface is a two-holed (“genus two”) doughnut: Every single orbit fills up either the entire space or some simple subset of the space called a submanifold. Mirzakhani and Eskin’s work is “the beginning of a new era,” said Wright, who spent months studying their 172-page paper. “It’s as if we were trying to log a redwood forest with a hatchet before, but now they’ve invented a chain saw,” he said. Their work has already been applied — for example, to the problem of understanding the sightlines of a security guard in a complex of mirrored rooms. It was Mirzakhani’s optimism and tenacity that kept the pair going, Eskin said. “Sometimes there were setbacks, but she never panicked,” he said. Mirzakhani is the first woman to win a Fields Medal. The gender imbalance in mathematics is long-standing and pervasive, and the Fields Medal, in particular, is ill-suited to the career arcs of many female mathematicians. It is restricted to mathematicians younger than 40, focusing on the very years during which many women dial back their careers to raise children. Mirzakhani feels certain, however, that there will be many more female Fields medalists in the future. “There are really many great female mathematicians doing great things,” she said. In the meantime, while she feels greatly honored to have been awarded a Fields Medal, she has no desire to be the face of women in mathematics, she said. Her ambitious teenage self would have been overjoyed by the award, she said, but today, she is eager to deflect attention from her achievements so she can focus on research. Mirzakhani has big plans for the next chapters of her mathematical story. She has started working with Wright to try to develop a complete list of the kinds of sets that translation surface orbits can fill up. Such a classification would be a “magic wand” for understanding billiards and translation surfaces, Zorich has written. By Erica Klarreich, published in Quanta Magazine, August 12, 2014. Thomas Lin contributed reporting from Stanford, Calif.